Connecting your iPhone, iPad, or iPod touch to your computer, Apple TV, or iTunes library using the Remote app is usually pretty easy. However, sometimes — even when you follow the proper connection steps — you can’t make the connection and therefore can't control anything. If you're facing problems with the iPhone Remote app, try these troubleshooting steps. New versions of software bring new features and fix bugs, but sometimes they also cause problems like incompatibilities with older hardware or software. If you're having trouble getting Remote to work, the first, simplest step to fixing it is to ensure that all of the devices and programs you're using are up-to-date. Verify that your iPhone's operating system and your version of Remote are the latest, and check your versions of the Apple TV OS and iTunes, depending on what you're trying to control. If you've got all the right software but still no connection, check that your iPhone and Apple TV or iTunes library you're trying to control are on the same Wi-Fi network. The devices must be on the same network to communicate with each other. On the iPhone, go to Settings > Wi-Fi to see what network you're on and select a new one if needed. On a Mac, click the Wi-Fi icon in the top right corner and do the same. On Apple TV, choose Settings > General > Network > Wi-Fi and select the correct network. 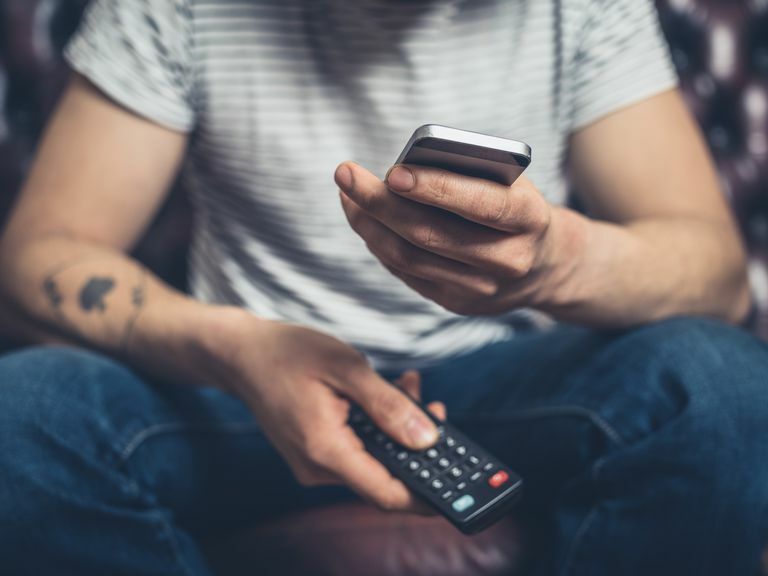 If you've got the right software and are on the same network but still no connection to the Remote app, the problem may be very easy to fix. Some wireless routers develop communication problems, especially if too many devices connect simultaneously. Simply restarting the router will usually suffice. On the iPhone, if Home Sharing is not turned on, simply open the Remote app and you'll be prompted to set it up. You'll need to use your Apple ID to log in. On a Mac, follow these instructions to set up Home Sharing in iTunes. On Apple TV, go to Settings > General > Computers and follow the onscreen instructions. Delete the Remote app from your iPhone. Tap it to launch the app. Turn on Home Sharing and sign into the same account as on your Mac or Apple TV. Pair Remote with your devices — this process may include entering a 4-digit PIN. If even that doesn't work, the problem may not be with Remote at all. Instead, the problem may reside with your wireless networking hardware. If your AirPort Wi-Fi base station or Time Capsule with built-in AirPort is running outdated software, they could be interfering with communications between Remote and your Apple TV or Mac. You might want to try upgrading your AirPort and Time Capsule software. A firewall prevents other computers from connecting to yours without your permission. As a result, it can sometimes prevent your iPhone from connecting to your computer. If you’ve followed all the steps in connecting Remote to your computer but Remote says it can’t find your library, open your firewall program (on Windows there are dozens; on the Mac, go to System Preferences > Security & Privacy > Firewall). In your firewall, create a new rule that specifically allows incoming connections to iTunes. Save those settings and try using Remote to connect to iTunes again. If none of these measures work, you may have a more complex problem or a hardware failure. In that case, your best bet to get help is to contact Apple for more support.